Three daily newspaper editors will discuss media regulation and other issues at an event hosted by the press watchdog. The Independent Press Standards Organisation has announced it will hold the latest of its roadshows in Belfast next month. Belfast Telegraph editor Gail Walker, News Letter editor Alistair Bushe and Irish News editor Noel Doran will be joined on the panel by IPSO chairman Sir Alan Moses. The roadshow will be chaired by Raymond Snoddy, former Financial Times media editor and BBC presenter. 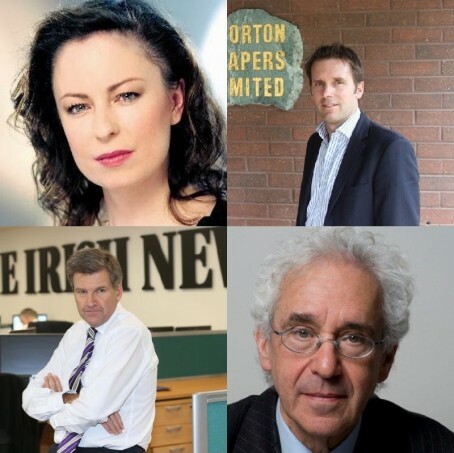 An invitation to the free event reads: “Join a panel of some of the most high profile names in Northern Irish newspapers to discuss press regulation and media issues. IPSO has held previous roadshows in Birmingham and Manchester. The Belfast event will be held between 6.30pm and 8.30pm on Tuesday 24 October at The Mac, 10 Exchange Street West, BT21 2NJ.